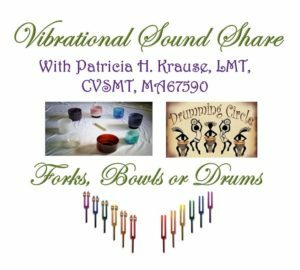 Patricia H. Krause, LMT provides personal and professional Tuning Fork Training in Cocoa FL along with training material, tuning forks and accessories to dedicated individuals drawn to this wonderful energy modality. 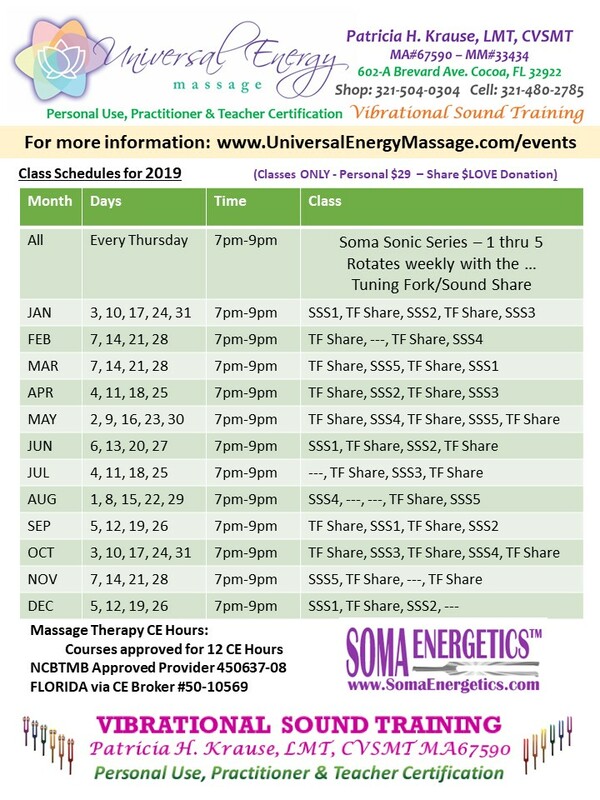 You are invited to come to any of the the LIVE classes or Sound Shares to learn and experience what sound and vibration can do to assist you in taking control and balancing your own health system. 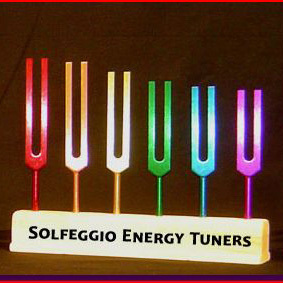 Learn more about the amazing Tuning Forks by attending the following classes with Pat Krause, LMT. 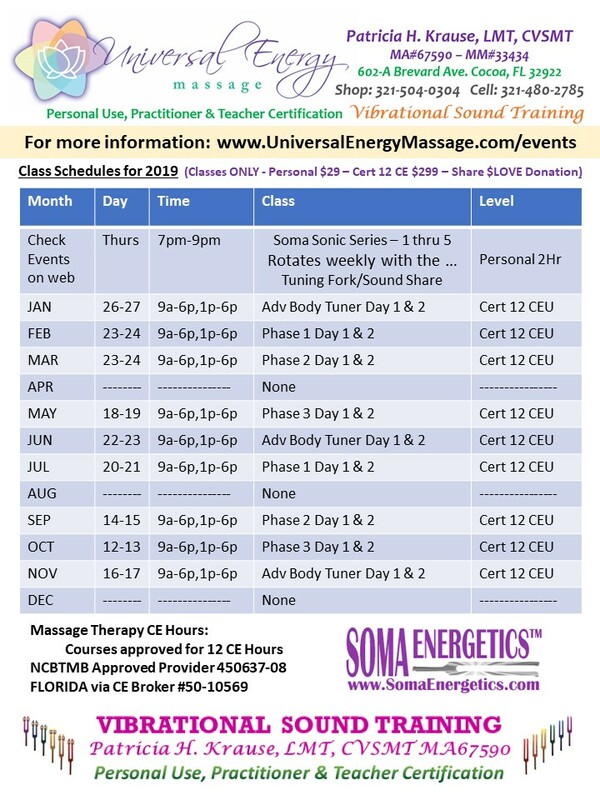 She is a Certified Vibrational Sound Master Teacher (CVSMT) with the NTCB and provides CEU’s for Florida State Licensed Massage Therapists. 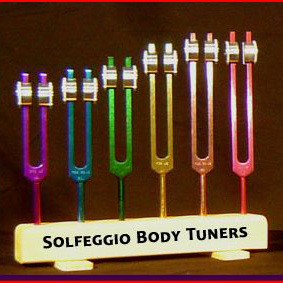 Whether you want to be a Practitioner, Sound Coach or Teacher of the Tuning Forks, this is a great place to start or continue your exploration of what frequency can do for you! 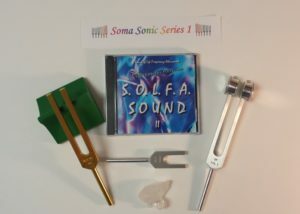 Pat is a student of sound pioneer and SomaEnergetics developer David Hulse, CVSMT. Click on David to find out more. See the Events Calendar for more Class Schedule information. 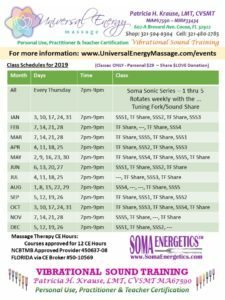 Universal Energy Massage has class material and Tuning Fork products for SALE on the SHOP page or at the store in Cocoa, FL. Please CALL Pat at 321-480-2785 for current class information and inventory. For more information about Self-Study courses and out-of-state product purchases please visit the following link…. The Phase 3 Professional class teaches you the DNA Ancestral Energy Release Technique which affects Epigenetic DNA through vibration and intention to bring balance back to the energetic body. May be used as a Stand-Alone class for your Massage practice.